I’ve discovered that lunch at one’s work station needn’t be a boring affair. I was contemplating what to have for lunch the other day when one of my close friends came along with a whole lot of soup packets – I was really spoilt for choice and picked one of them. It was a spicy soup – much enjoyed. She also offered me half of her tuna sandwich. At first I said I didn’t really fancy having bread and thanked her for her kind offer. After a few minutes, I changed my mind and asked if the offer was still open. She said it was and handed me one half. I accepted it so thankful as it complemented our cups of soup. As I gratefully bit into the sumptuous looking sandwich my palate was shocked at the luxury of this tuna sandwich. It was the tastiest, mouth-watering tuna sandwich I’ve ever had the fortune to sink my teeth into. What a great lunchtime that turned out to be. There sitting at my desk munching on the yummiest tuna sandwich ever made. We chatted happily and I complimented her for such a wonderful, delicious tuna sandwich. She told me what was in it. I do think there is a secret ingredient! I said to my dear friend that she should think seriously about opening a tuna sandwich shop because the one she made was the best a tuna sandwich should be. An encounter, most delicious (Mr Hercule Poirot would have said). In the past couple of days when I thought about my dear friend’s lovely tuna sandwich, I wondered who discovered the art of sandwich or sandwiches. What interesting history is there to discover about the sandwich – a delicious morsel that has made millionaires out of enterprising people in England and across the Atlantic. 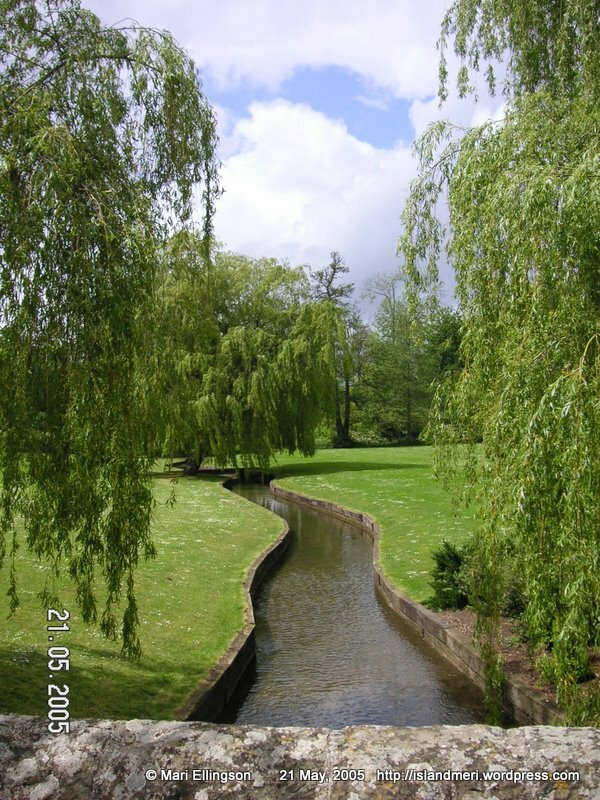 In England, here is the history of the sandwich and the place where it came from: Sandwich, a medieval coastal town in Kent, England. 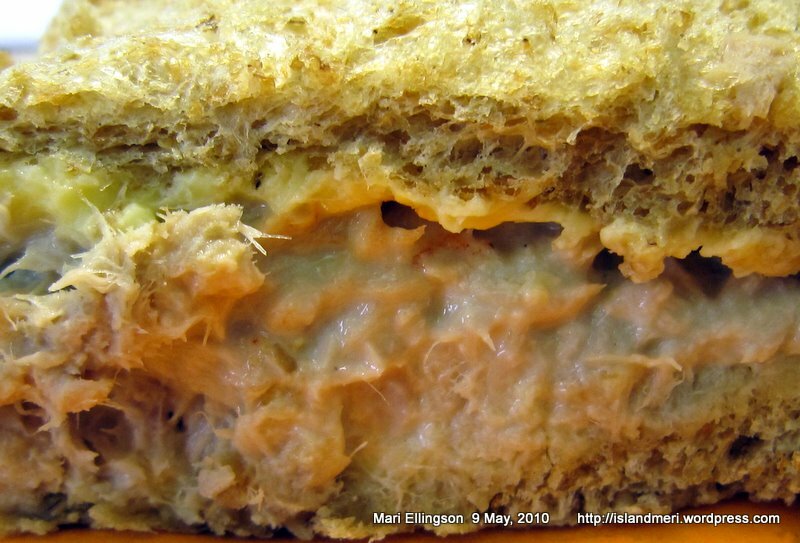 Author islandmeriPosted on 16/05/2010 Categories History, Historical Figures & Events, London and the United Kingdom, Restaurants, Food & CuisineTags 4th Earl of Sandwich, England, Kent, Sandwich, sandwiches, tuna sandwichLeave a comment on Yummiest Tuna Sandwich Ever! Kent’s hidden gem. Considered one of the loveliest castles in world. After you’ve been through it and around it you’ll know why. 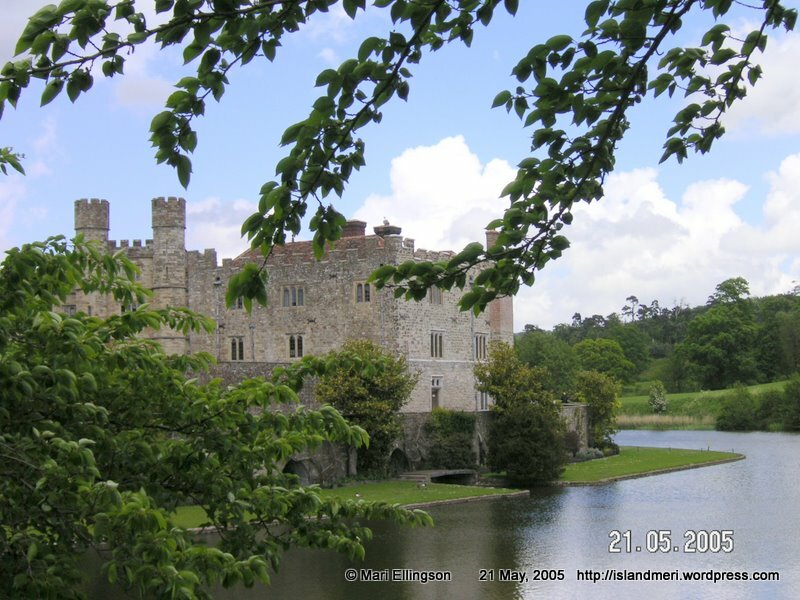 Serenely imposing – Leeds Castle is situated on 500 acres of God’s green earth, and was built over 2 islands on the River Len not so far from Maidstone, Kent.The grounds are massive. 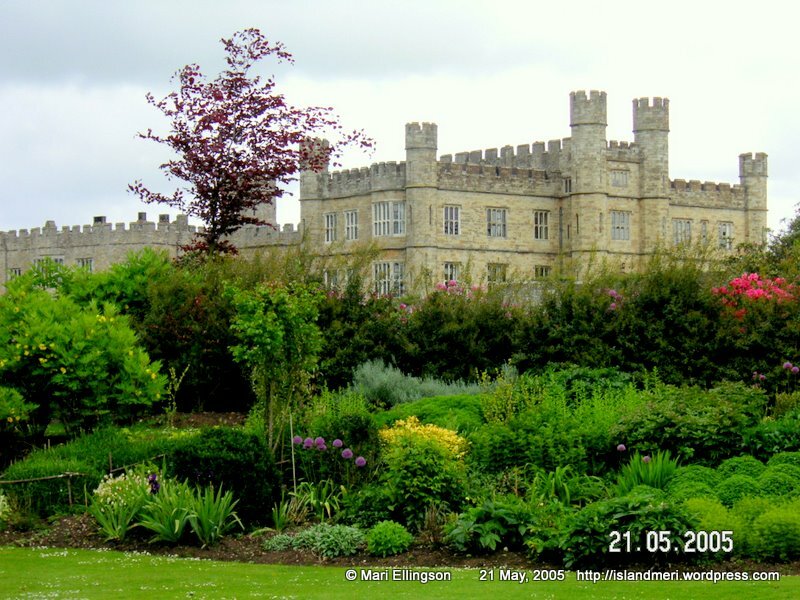 When a close friend suggested that we visit Leeds Castle in Spring of 2005, I thought it was in Leeds and was so excited about visiting because at that time the iconic Marcus Bai was playing for the Leeds Lions. I thought maybe I’ll get a glimpse of him (Bai) if I went there. Don’t know how that could be possible on hindsight. 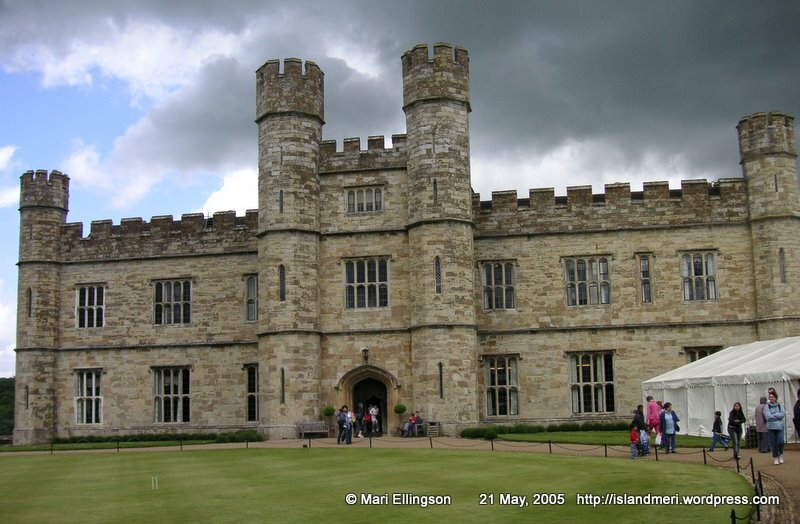 Leeds Castle is in Kent, southeast England. Well, I guess you learn something new and useful each day. 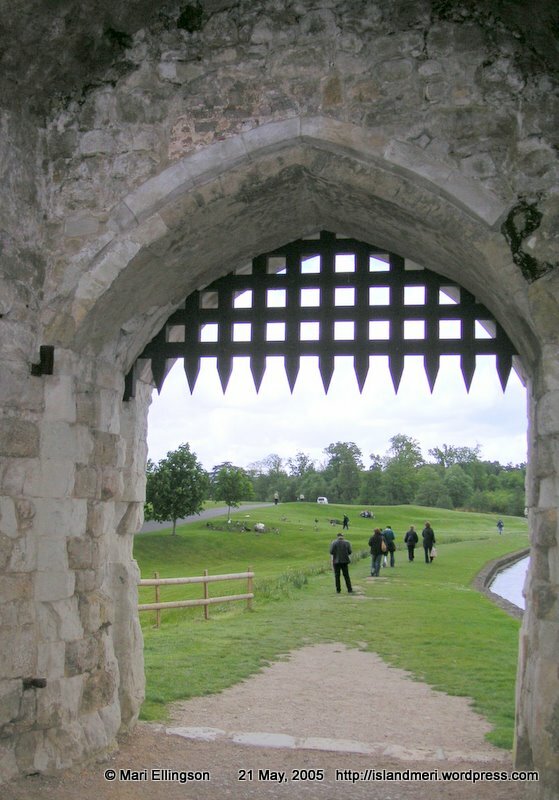 Leeds Castle was built in 1119 and became a royal palace for King Edward I circa 1278. 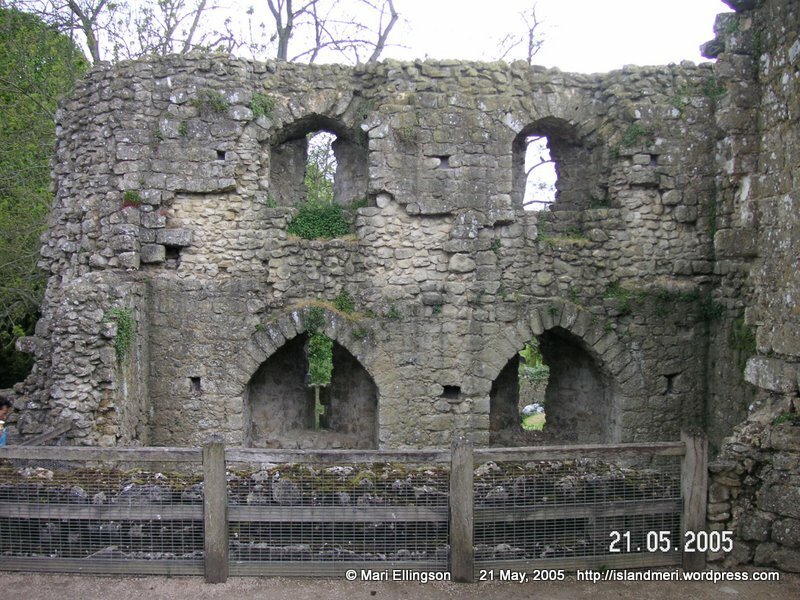 It earned the name of ‘ladies’ castle’ as it was home for six Medieval queens of England. This was the very first castle in the UK I actually entered and, toured. I was really excited about that. The first castle I ever saw was in Wales – Oystermouth Castle, overlooking Swansea Bay near the quaint and pretty village of Mumbles. 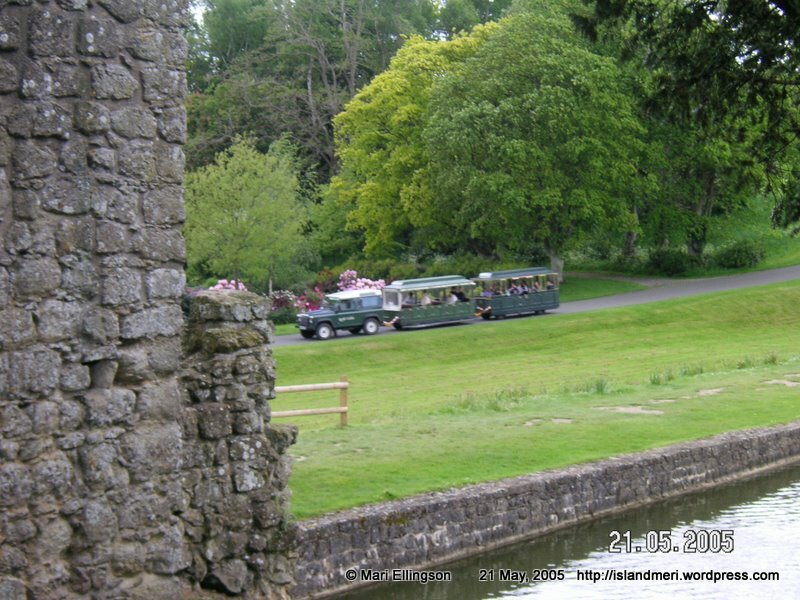 Back to Leeds Castle. 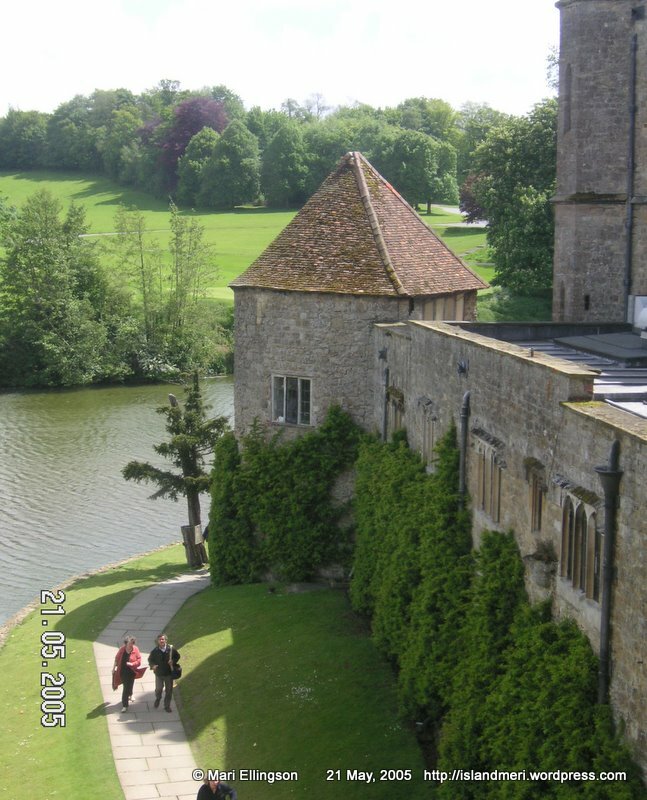 The day was hazy but not daunted we set off on our tour of Leeds Castle. Once in a while the sun came out so I was able to take a whole bunch of photos on a relatively dry, rainless day. 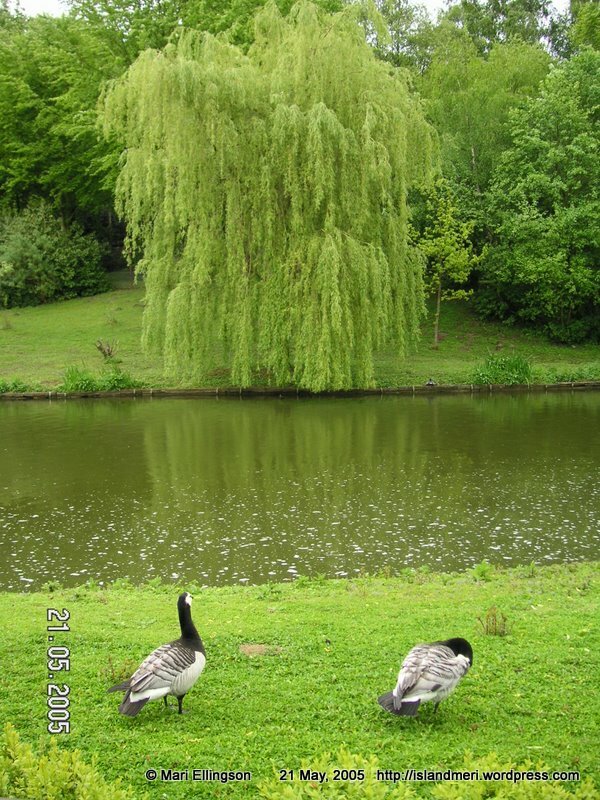 I am sharing some of my photos of Leeds Castle and surrounds. 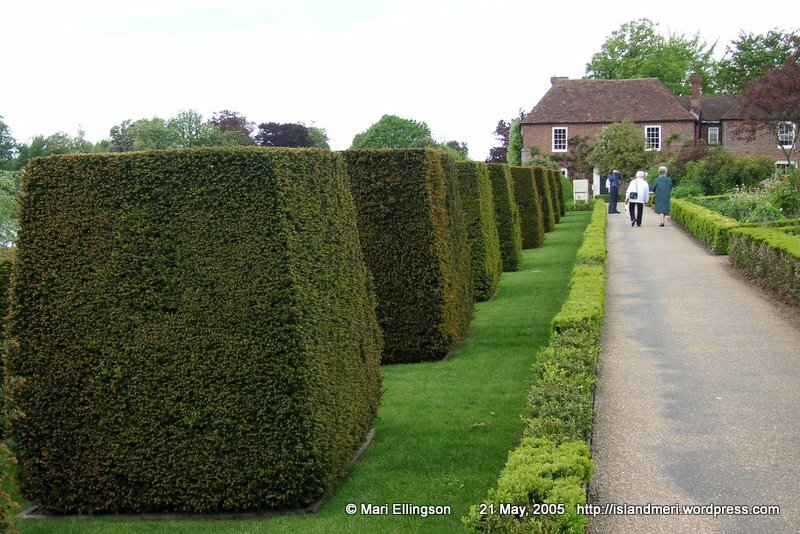 I went through the aviary and walked by the maze without stopping to take a look. Due to time constraints we walked past a lot of the attractions. 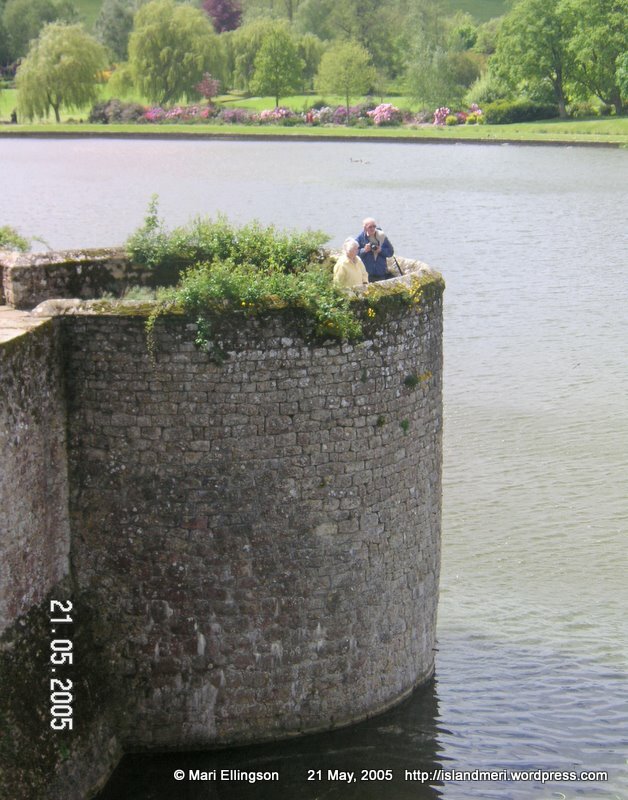 There was a lovely restaurant on top of a slight incline from the Castle where we had lunch. It was rather grand inside and just the sort of eating place I expected to find near an iconic castle. I really enjoyed the visit and hope to visit again. 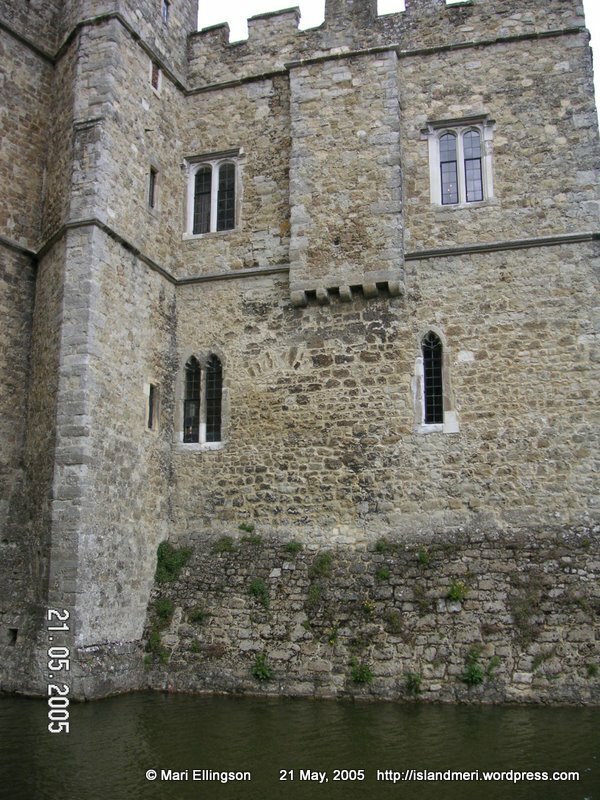 For more information on the Lengendary Lady of Leeds, visit these websites http://ww.leeds-castle.co.uk, http://www.statelyhomes.com, http://www.britannia.com and http://www.castles.me.uk. 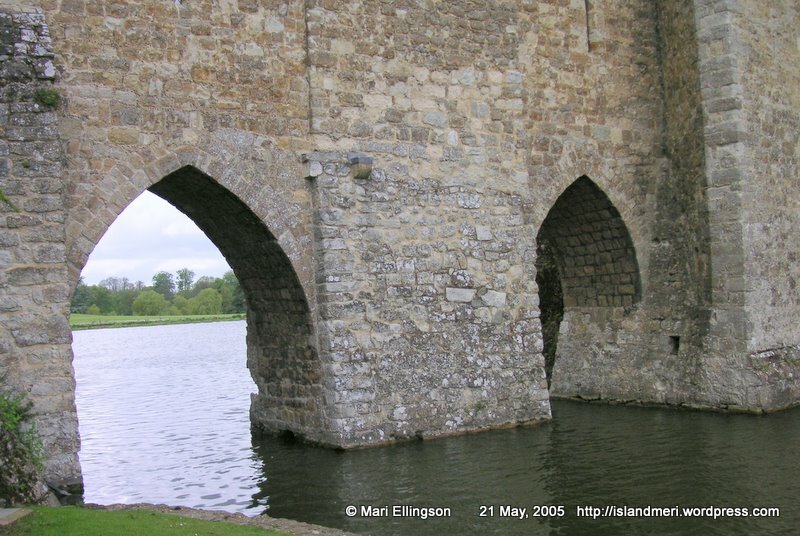 There are lots of websites on Leeds Castle and it’s historical famous people. I was on the grounds of Leeds Castle and came across this white peacock. I had never seen one in my life and was fascinated by it. 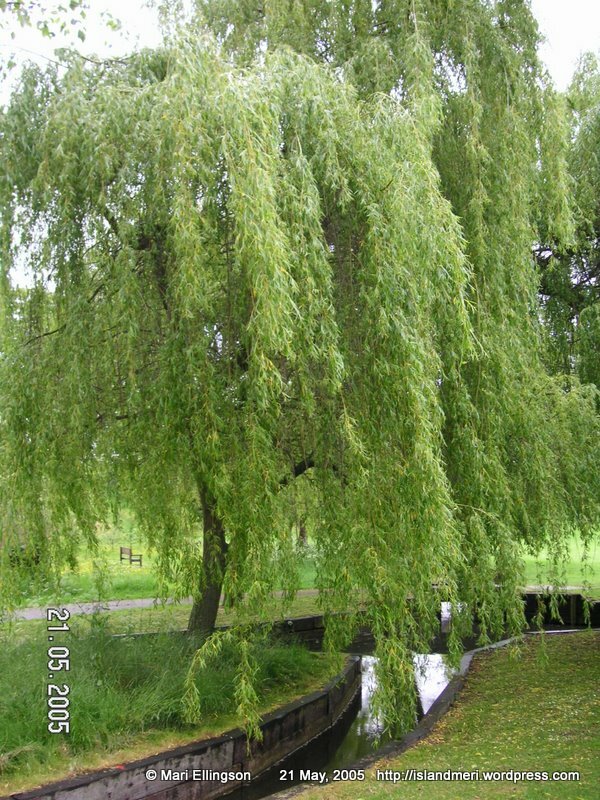 I reckon that it is a really beautiful specimen. 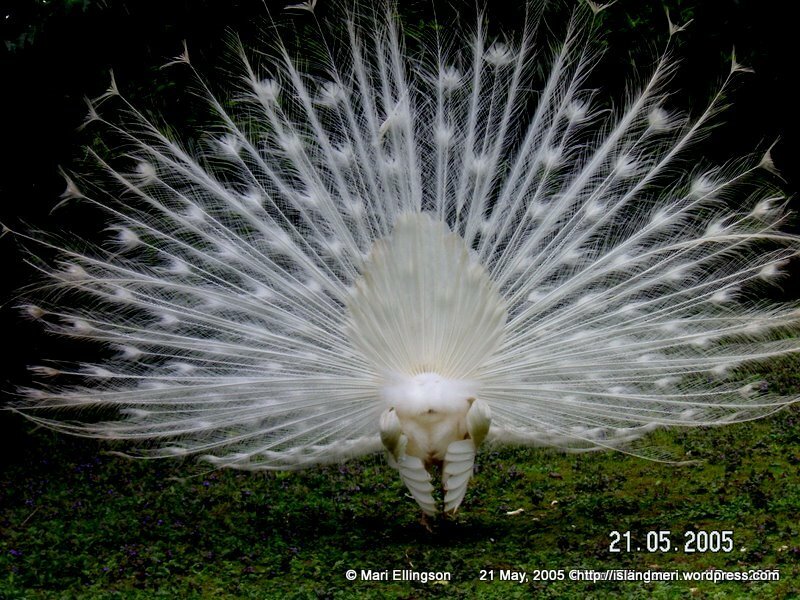 One useful thing I found out about this magnificient bird is that it is not an albino mutant. The peacock belongs to the pheasant family. The male is called a peacock whilst the female is called a peahen. 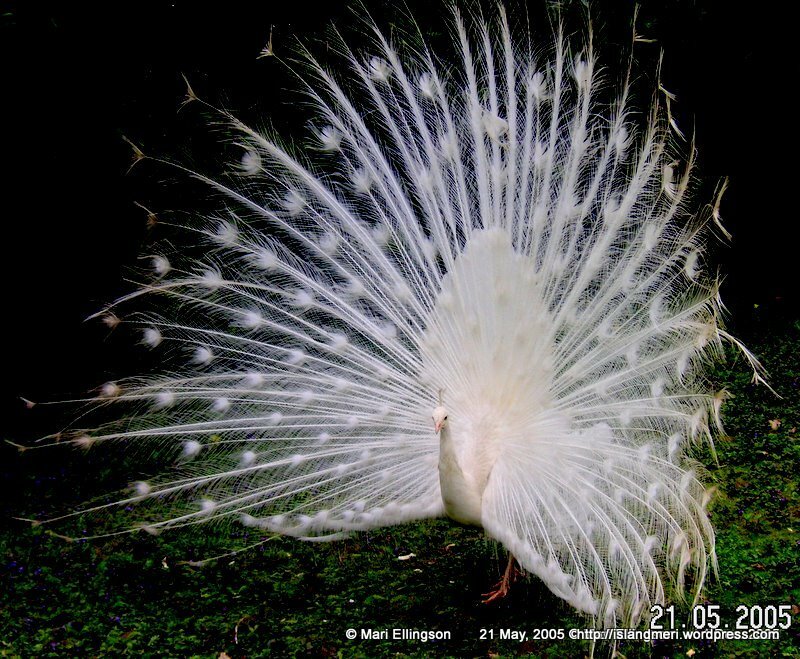 Apparently, the male peacocks are the ones with the ornate and beautiful blue, turquoise and emerald feathers. 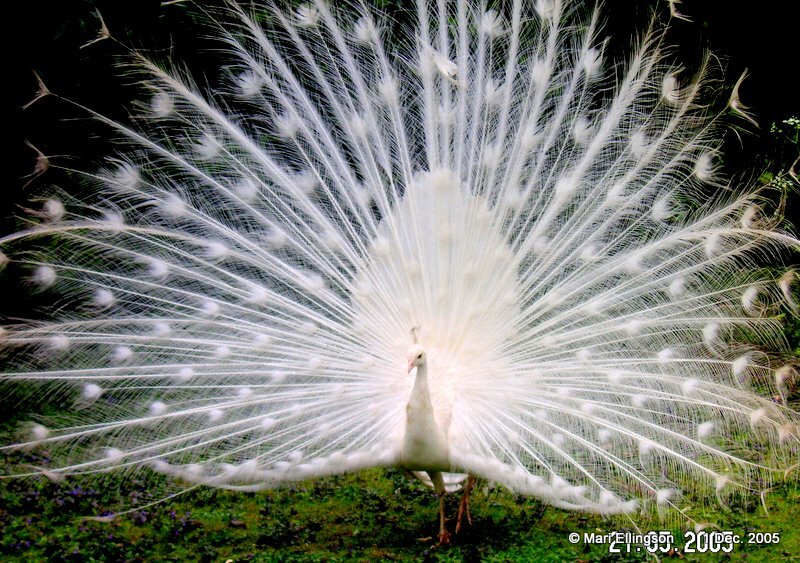 It is said that peacocks love companionship and so it follows that when you find one you are sure to find a partner. Well, on this particular day, I did not see the partner. Perhaps the partner was somewhere on the grounds but not near this one. Anyway, it was such a majestic sight. 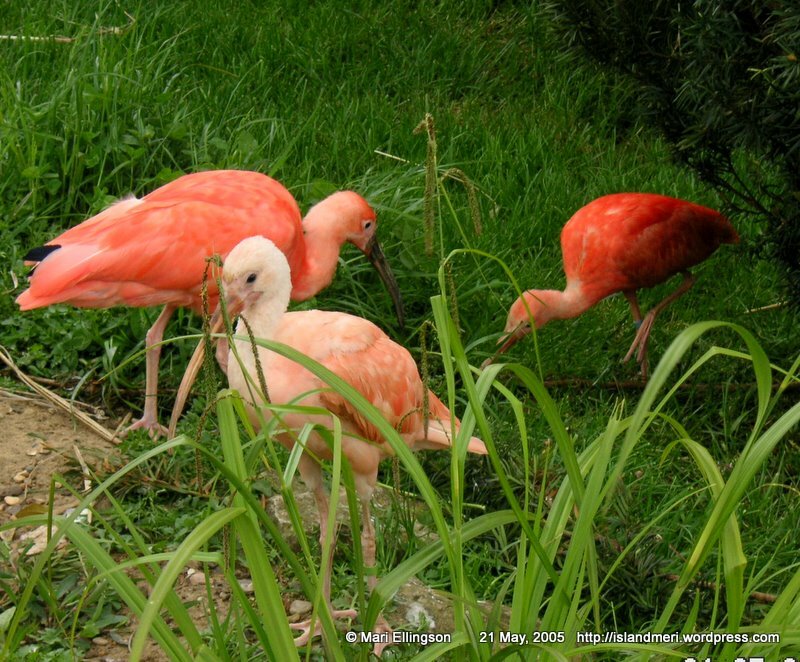 If you happen to visit Leeds Castle look out for these magnificient birds. As we drove into the city of Dover I hummed the song “There’ll be bluebirds over the white cliffs of Dover…”, feeling excited, elated and curious. I saw part of the white cliffs as we drove towards the city centre and took a photograph but it is not as impressive as the ones I see in tourist brochures. They were just too far for me to take a good picture and also I took the shot from a moving vehicle. Back to this famous song – in the UK I learnt that the song was sung by Dame Vera Lynn then and is as timeless as the Dover cliffs. 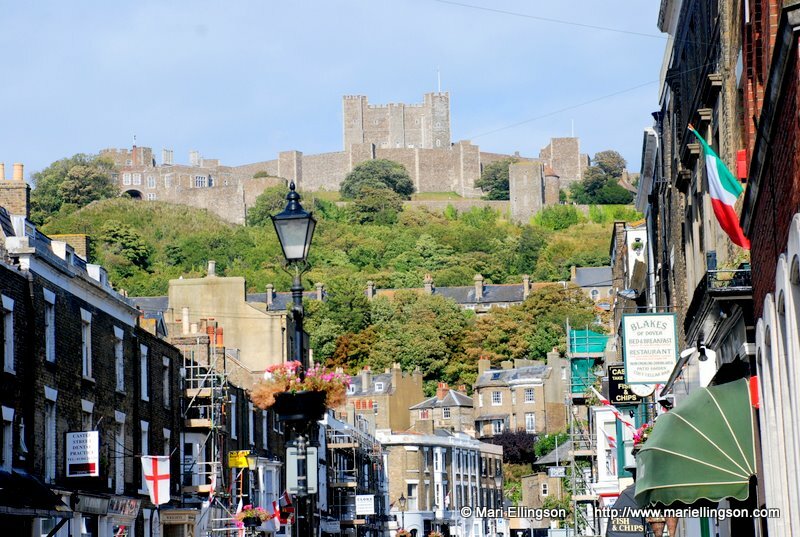 Dover is situated close to Folkestone and driving there after the church service on the August Bank Holiday Sunday seemed such a wonderful way to enjoy the short break. "...the white cliffs of Dover..."
Besides, the other reason for the excitement to go to Dover was the thought of Dover sole for lunch – find a restaurant that served Dover sole – simple! 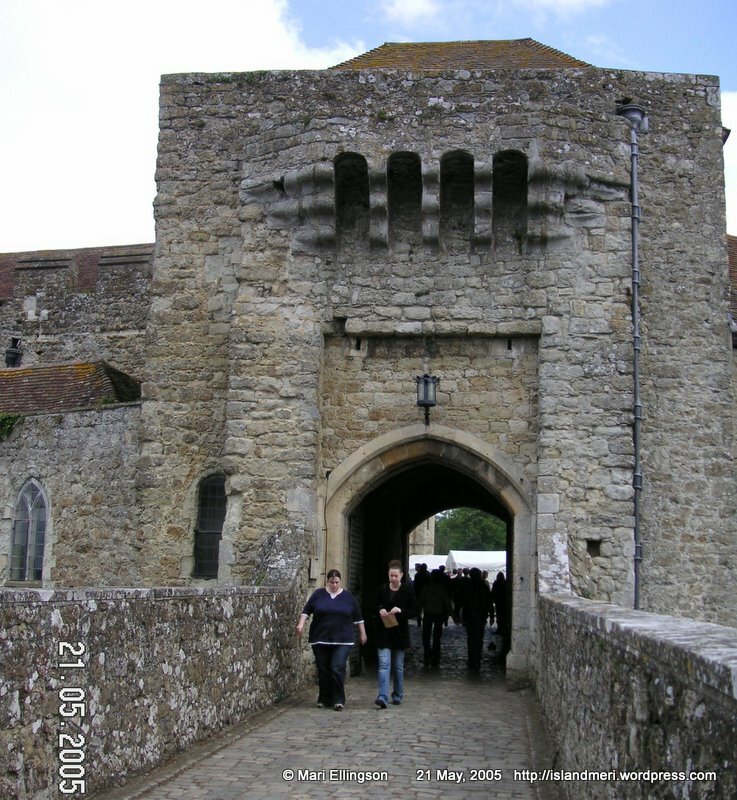 During the search for the Dover sole which took us all over the length and breadth of the city, we were pleasantly surprised to discover that there was a castle in Dover and a few other things. It is an interesting city. We came across other visitors mainly from the European continent. There were groups of German, French and Italian tourists. 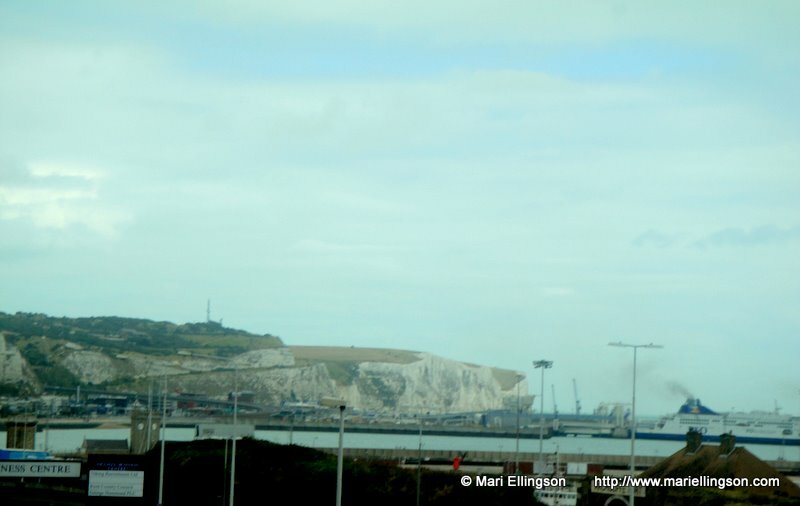 Dover seems to be a very strategic gateway not only to south east England but to London and other UK destinations. I couldn’t help thinking that these seaside cities especially Dover and Folkestone and their close proximity to the European continent makes them lucrative tourist destinations. Their rich histories beckon more than just well-to-do visitors. We visited the centre of the city looking for Dover sole but no-one seems to have it and when they did, it was not cooked to our liking. 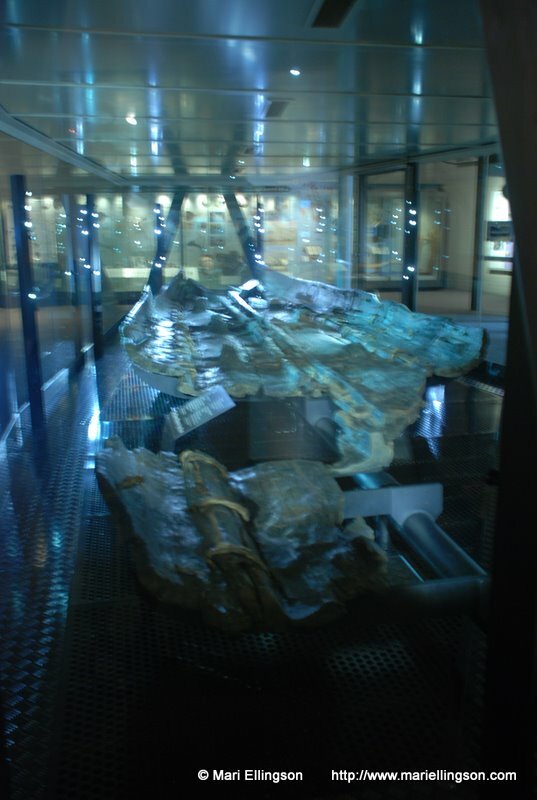 Our search for Dover sole led us to so many delightful discoveries – the Dover castle, memorial to Walter Tull in the church yard on the hill, the plaque on the roof about David Copperfield, the church in town and the museum. I’m sure that there are other things we could have discovered if we had given ourselves a whole day perhaps. 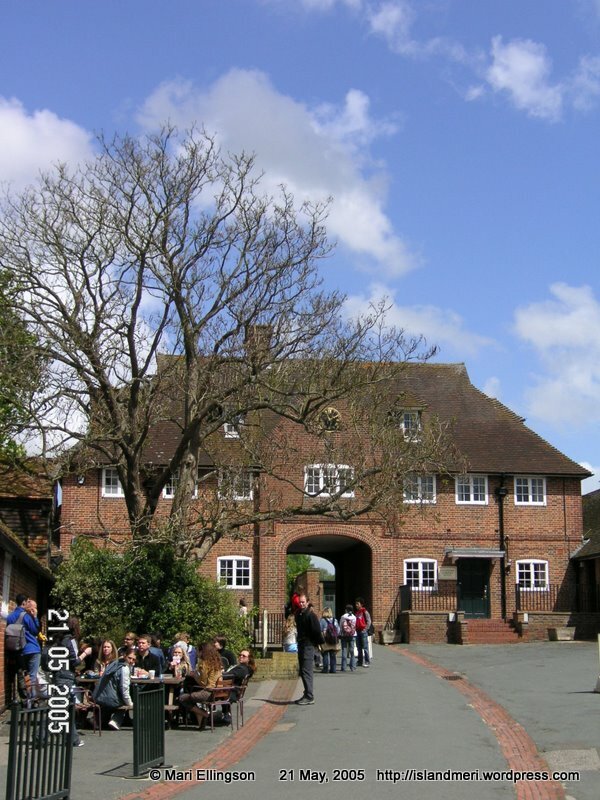 The museum included displays of Dover’s development and military history. I found that really interesting and educational. Downstairs in the sovernir shop visitors were purchasing souvenirs with Euros. That was something! They paid with Euros and received their change in British Pounds. That was really educational too. Tourism needs to be flexible so that it does not inconvenience the service provider as well as the tourist. It was definitely a win-win situation. We learn something new each day. Guess what? visitors were allowed to take pictures of displayed historical pieces. 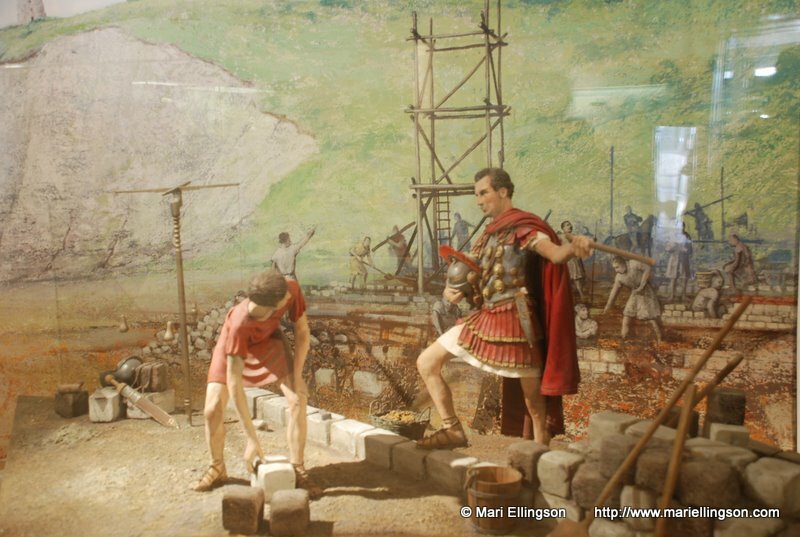 Yes, take pictures of the antiquities inside the museum. There was an old boat dating back to long long ago. 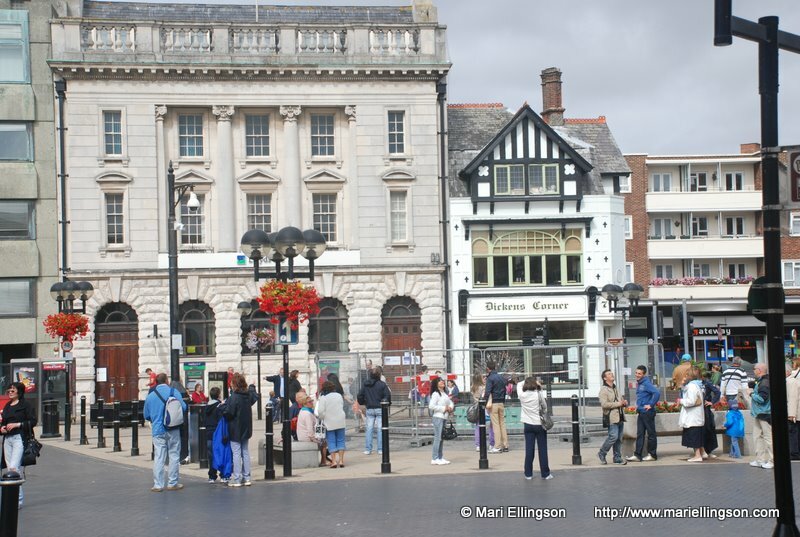 Dover has a really interesting history as a seaside city during its growth over hundreds of years. The harbour keeps on growing and expanding. Was an informative and educational visit to this quaint little museum. We had lunch at an Italian restaurant in the centre of the city and then headed uphill towards the Dover castle. Wow! The castle was a sight to behold! Prior to the trip to the caslte I was taking photos of the city when a woman pointed out the castle to me. She even showed me where I could take a good shot of the castle from the city centre. What a majestic sight! Such friendly folk – a big plus for any tourist destination. It was like a guardian or benevolent sentinel watching over the harbour below. 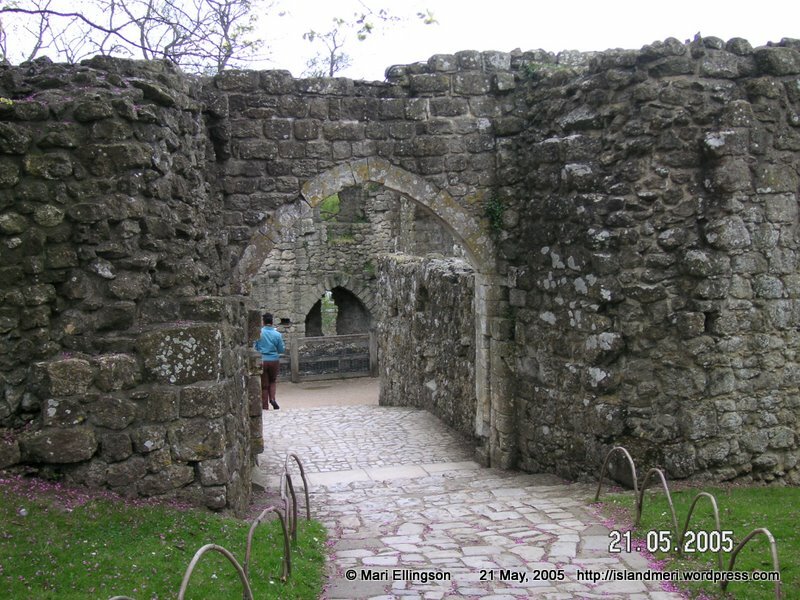 There seems to be a castle or a site of cultural significance in almost any city in the UK. Each of them has a unique story to tell. In PNG we have hundreds of sites of cultural significance and I wonder how many of these are accessible to the tourists that visit the country. A view of the Dover Castle from the city centre - awesome! I am sure that these sites dot each square mile of the country and in every village, ward or district – some larger than others and most are natural not man-made. Wonder how challenging it would be to find all of these. I guess for starters it will take a lot of travelling by every mode of transport conceivable or appropriate to find these sites of cultural significance to Papua New Guineans. 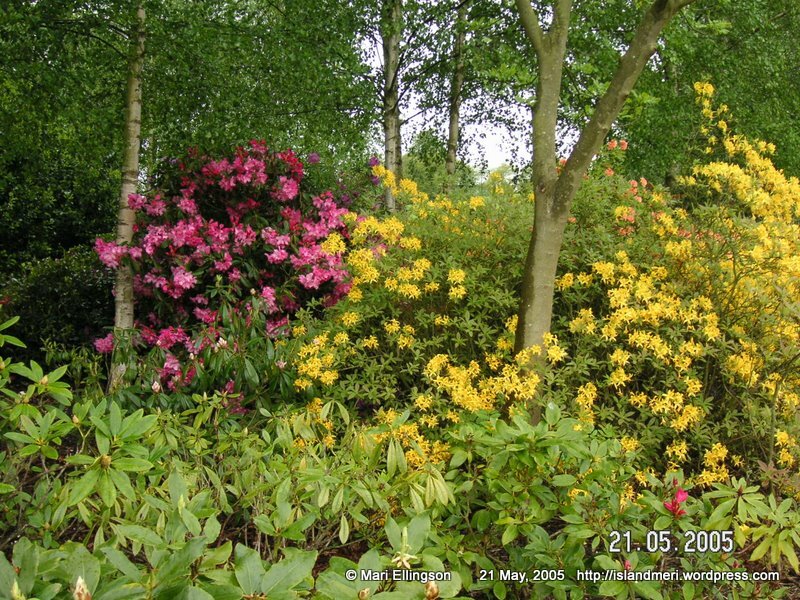 Of course, taking great care not to damage the fragile and pristine environment where they are located. At the end of a very very fruitful afternoon and all the discoveries we made in Dover – I have to say I was still on the lookout for the illusive Dover sole. I need not have looked farther than the Clifton Hotel in Folkestone where I was spending the August Bank Holiday weekend. 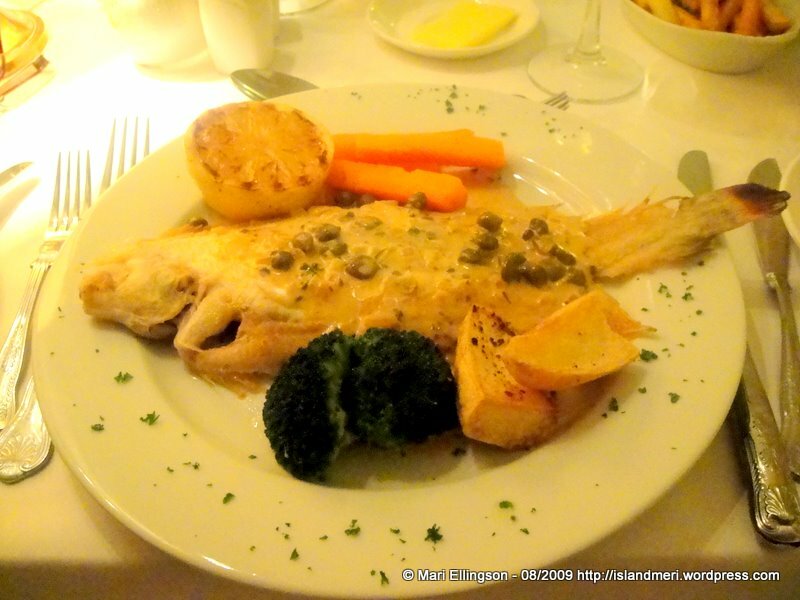 There on the evening menu was the much sought after Dover sole. Dover sole - crumbed and fried...ending a wonderful weekend in Kent. I found out that Dover sole is a generic name for a fish that looks very much like the flounder. In a way I guess we were not too far from the truth when we assumed that Dover sole came from Dover as information I gleaned from my limited research showed that ‘The name “Dover” is taken from the English fishing port which landed the most sole in the 19th century’ – (courtesy of http://www.recipes4us.co.uk). Well, we learn something new each day. You can find Dover sole almost anywhere around the world especially in the US, Pacific, the Atlantic and Europe. 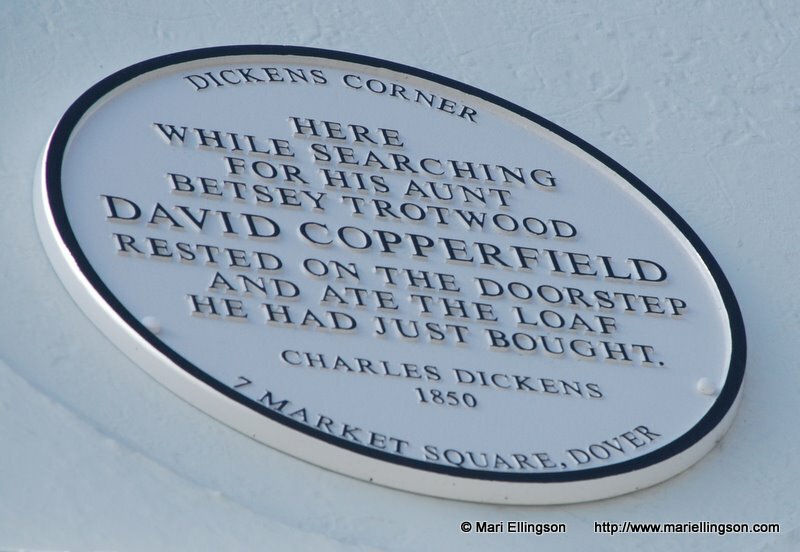 I really enjoyed my search for Dover sole because the search led me to discover a lovely Victorian hotel, the famous white cliffs of Dover, a majestic castle, a least known memorial, an interesting little museum and Dickens corner.